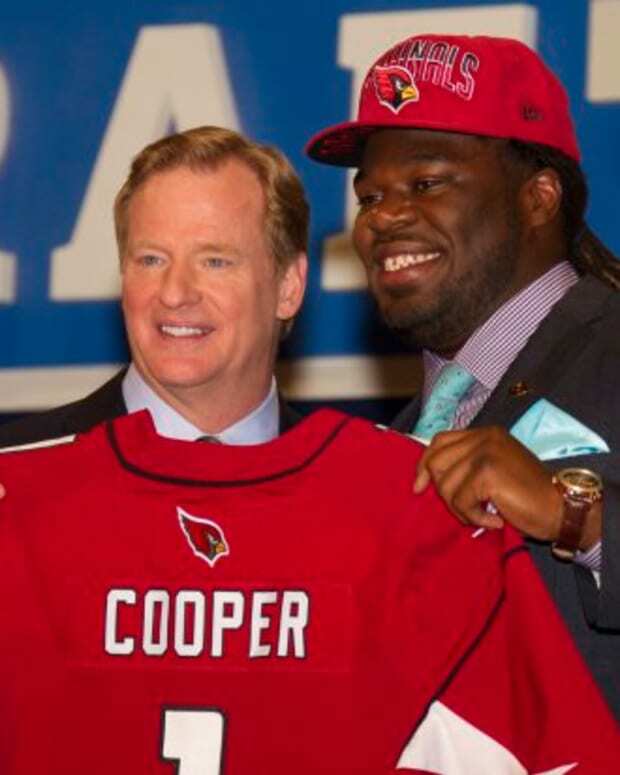 Arizona Cardinals – The Cardinals were the best NFL team to not make the playoffs in 2013, but there’s still significant distance between them and the top of the division, so they’ll need a strong offseason if they want to make the playoffs in 2014. For Arizona, it starts up front, where they’ll need to upgrade at the offensive tackle position. Even if Eric Winston re-signs, the Cardinals would be wise to use their first round pick on an offensive tackle to help protect Carson Palmer. Speaking of Palmer, he needs a backup that can one day take his place, so Arizona could be looking to find a quarterback in the middle rounds of the draft that could be ready to take over as the starter in a year or two. Arizona might also be looking for a running back to complement Andre Ellington, preferably a bigger power back. Defensively, Arizona needs to get younger at outside linebacker, so one or two draft picks should be dedicated to that position. They can always look to add depth, but other than that they’re in good shape on that side of the ball. 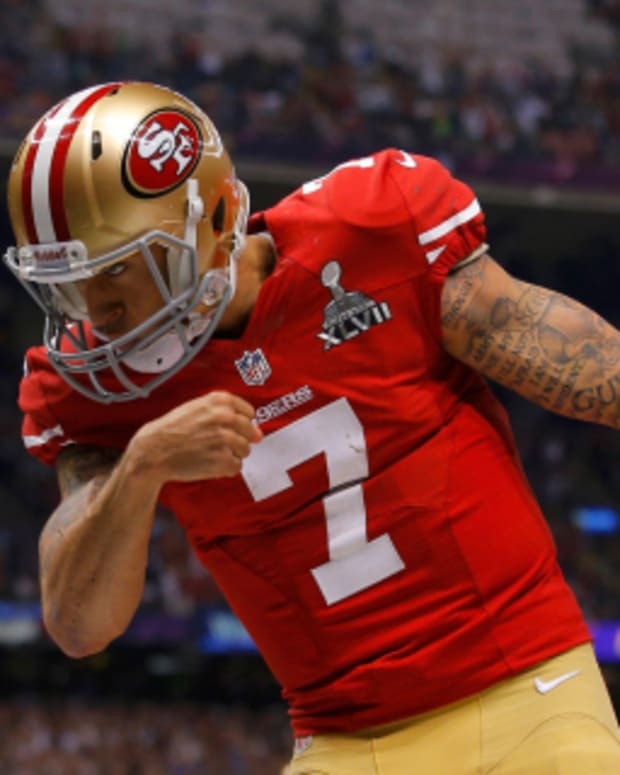 San Francisco 49ers – After three straight trips to the NFC Championship Game the 49ers are close to winning a Super Bowl, but they’ll need a strong offseason to help get them over the hump. The first area they need to pay attention to is the secondary. A few of their cornerbacks are free agents, and even if they re-sign one or two, they may want to use an early round draft pick at that position. They’ll also need to re-sign safety Donte Whitner and keep him paired up with Eric Reid on the back end of their defense. 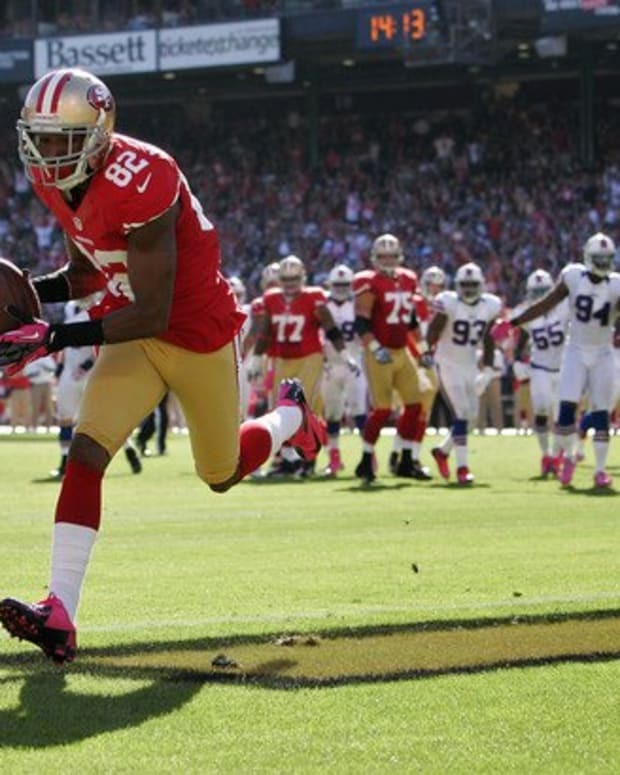 The next area of focus is wide receiver, where both Anquan Boldin and Mario Manningham are about to hit the free agent market. Their preference will be to re-sign Boldin, but if they can’t do that they may need to use their first-round pick on a wide receiver. San Francisco may also need a center if Jonathan Goodwin decides to retire, and those can be tough to find beyond the first few rounds of the draft, which could change their plans. If they have some late-round draft picks or extra money available, the 49ers could also add depth to their front-seven. Seattle Seahawks – Even after winning a Super Bowl, the Seahawks have plenty of room for improvement this offseason. Doug Baldwin will be back at wide receiver, while Golden Tate is hitting the open market, but even if Tate returns to Seattle the Seahawks may want to take advantage of the depth at wide receiver in this year’s draft class and pick one up in the second or third round. Seattle should also consider using a couple draft picks, and possibly an early-round pick on an offensive lineman to help keep their franchise quarterback better protected. Defensively, the Seahawks are in great shape, although they could lose Michael Bennett in free agency, creating a hole in their defensive line that needs to be filled, and they could use some more depth at cornerback, which is something they can find in the middle or late rounds of the draft. St. Louis Rams – If the Rams are going to compete in this division, they’re going to need a quarterback, and Sam Bradford may not be the guy they need. St. Louis owns the second overall pick, and they could get a quarterback there if they want, if not then they’ll certainly pick an offensive tackle, which is their greatest need outside of quarterback. In fact, the Rams may need to end up using two or three draft picks on offensive linemen. St. Louis may also be looking to add a wide receiver, either in free agency or in the draft, possibly someone with size that can complement all the speed they added last offseason. Defensively, the Rams need to bring in an impact player at linebacker, most likely an outside linebacker that can help out James Laurinaitis. St. Louis could also look for another young safety to pair with T.J. McDonald, although they can wait until the middle rounds of the draft to do that.